Fit Foodie Megha: Faasos – Signature Wrap and more! — Reviewed! 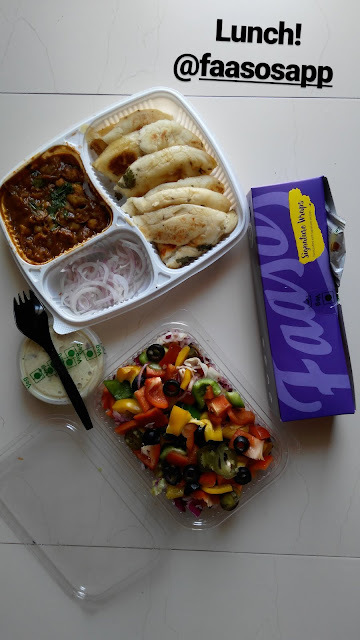 Faasos has been my first choice to have pocket-friendly rolls and meal box. Recently, they also started the breakfast range and revived the new menu with the signature wraps. 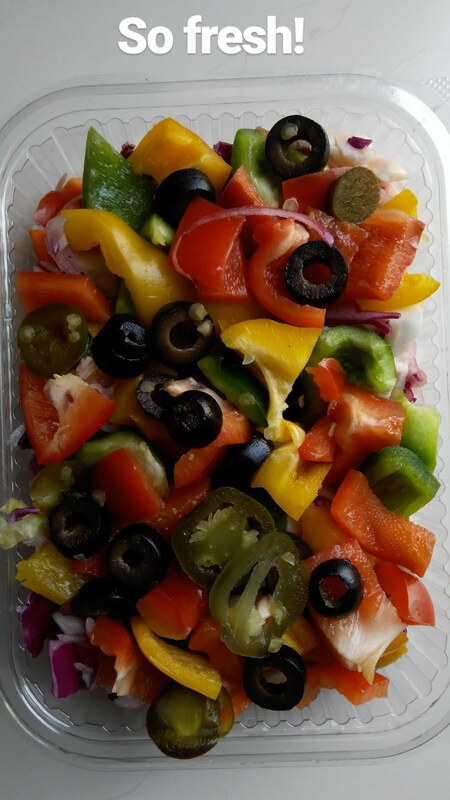 I tried the Veg Jumbo Wrap, Chhole-Kulcha, Exotic veggies in sunset milano, and Kesar Muesli. Next was the Veg Jumbo Wrap (Rs.199). Bit overpriced. 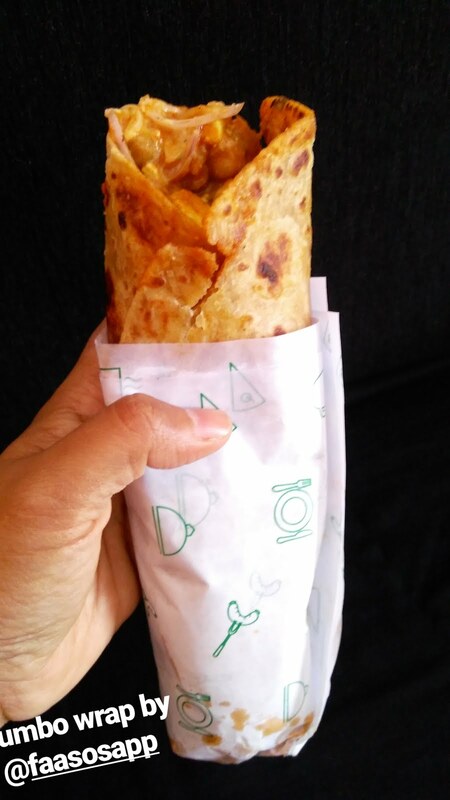 The wheat roti wrap was overloaded with the paneer curry, chholey, and veggies with loads of sauce. The filling was oozing out of the roll and made it tedious to eat. Taste wise, it was perfect! Bit spicy, tangy, savoury. Loved it! 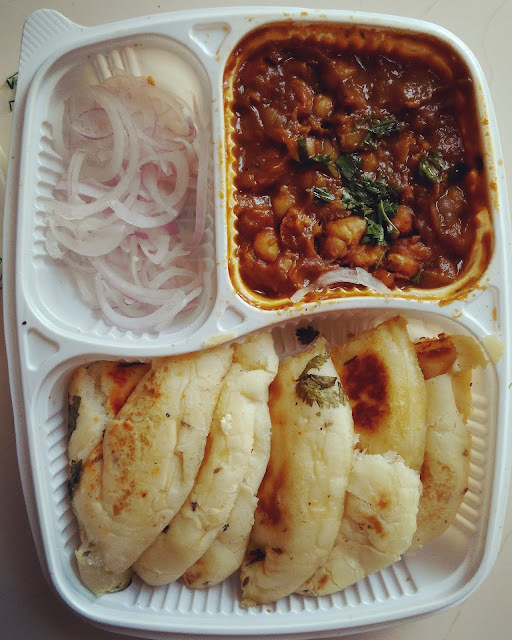 Really was eager to try Chhole Kulcha (Rs.109). It was warm and served with tamarind chutney to add extra binge. Chhole was cooked perfectly with right amount of spices. I found the quantity of chhole less as compared to Kulchas. Kulchas were warm and soft but tasted more like pav, though, tasted good. Overall, a nice meal. 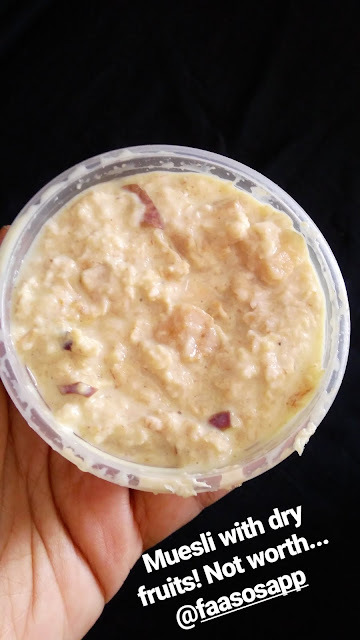 Lastly, had Kesar Mueseli (Rs.59) to satisfy the sweet tooth cravings. The quantity was less. Taste was good had the crunch of almonds and goodness of mueseli. Healthy and tasty.